We'll admit to not being the biggest D'n'B heads in the world but we'd be fools to overlook this ace album from Lynx & Kemo on Marcus Intalex's Soulr imprint. 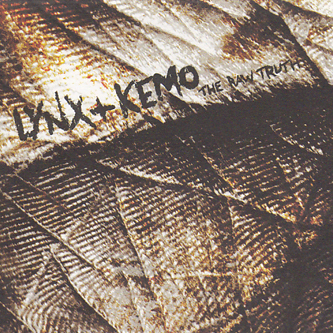 The pair have been pushing a well funked liquid sound for the last decade but have developed something beyond those constraints with 'The Raw Truth'. 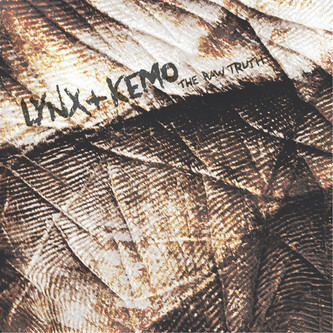 Most noticeably, Lynx & Kemo combine a wide ranging palette of sounds, intricately incorporating vocals and bravely (for the D'n'B scene) utilising a wide range of percussive timbres and sounds often harking back to the seminal rhythm syncopations of Photek. 'Apocalypse' is the perfect case, featuring vocals from folkster Denis Jones contrasting with Bango Collective's American drawl and set to a sick rhythm straight from the Rupert Parkes textbook. 'Commiting Love' is another top pick, teetering on the edge of Morcheeba cheese but mercifully steering into the path of Various Production's skilled style with a killer Burial style rhythm to boot, check this! Moving deeper still 'Tribes' could lose the pan pipes, but the febrile handclaps and powerfully sweeping bassline should easily capture the imaginations of any Instra:mental or D-Bridge fans. There's a small handfull of fairly standard Liquid-style steppers but these are easily avoided with the aid of FFWD button. Certainly worth checking if you're into Burial, D-Bridge, Various Production or Instra:mental!